American citizens could owe taxes in two countries. If you've never lived abroad for an extended period of time, you probably don't know the United States requires its citizens to continue to pay taxes back home. Living abroad is a compelling vision for many people. For some, the attraction is a great job that happens to be in an exotic land; for others, it’s simply the romance of joining the tradition of famous expatriates such as Ernest Hemingway, Scott and Zelda Fitzgerald and Gertrude Stein. But then, reality strikes. Among the concerns of living outside the United States—making a living and leaving loved ones behind, for example—are the tax issues that develop if you retain your U.S. citizenship. If you’ve never lived abroad for an extended period of time, you probably don’t know the United States requires its citizens to continue to pay taxes back home. You are required to file taxes on foreign income even if you pay taxes in the host countries. “We tax both citizens and residents on the basis of worldwide income,” said John Wilson, an adjunct professor of international taxation in the graduate tax program at the University of Denver. The United States is one of a handful of countries that require this comprehensive taxation. For residents of Canada, the rules are different. The good news is that the Internal Revenue Service offers several breaks to keep the long-distance taxes to a minimum. "We tax both citizens and residents on the basis of worldwide income." One tax break for expatriates is the Foreign Earned Income Exclusion. 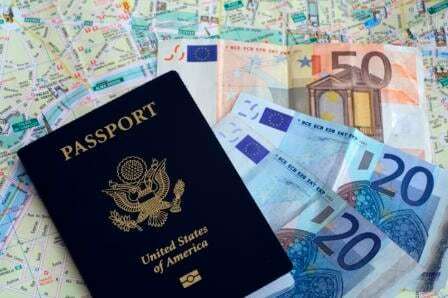 If an American moves abroad, he or she can exclude foreign-earned income up to $104,100 as of 2018 from U.S. taxation. To qualify, that person must have lived outside the United States for 330 days in 12 consecutive months, said Wilson, a partner in the Denver law firm of Holland & Hart. That means an expatriate making $75,000 overseas would pay no taxes, although he or she still must file IRS Form 1040 and claim the exclusion. If the expatriate makes $105,000, tax must be paid on the difference between his or her salary and $102,100, or $2,900. But if the expatriate visits the United States for more than 35 days in that period, the benefit is lost. If there’s no government where the expatriate is living, the exclusion can’t be claimed. Wilson recalled a case in which Americans tried without success to claim the exclusion because they were living in Antarctica. The exclusion also can’t be claimed on the high seas, he said. Once you’ve been overseas for an extended time—usually at least half a year, Wilson said—you become subject to taxes in your country of residence. If you’re also paying taxes in the United States, that would be double taxation. So the U.S. tax code allows you to take a foreign tax credit. Under this section of the tax code, you subtract the lower of the tax rates from the higher. In effect, you pay only the higher of the two tax rates, split between the two countries. Say you lived and worked in London in 2018 and made $180,000 a year. You can use the Foreign Earned Income Exclusion to exclude $104,100 of that income from taxes. The remainder—$75,900—is subject to U.S. and U.K. tax. Your income tax rate in the United Kingdom could be 20 percent and your American rate 30 percent. You pay the British tax, and subtract that rate from the American tax, so you pay just 10 percent of the $75,900 in American taxes. A tax issue that surprises some expatriates is a currency gain on which they could owe taxes, Wilson said. For example, say you bought stock with euros when you were living abroad. Even if the stock's worth in euros remained flat, if the value of the euro versus the dollar rose significantly while you held the stock, you would end up with more dollars if you sold the stock. So even if the stock didn't rise in market value, you made a profit in dollars when you sell the stock. You would have to list that as income on your tax form, Wilson said. Not all expats have the same issues. Raymond, who asked that his last name not be used, worked for an international energy company in the United Kingdom from 2005 to 2010. A combination of the tax exclusions and credits and his company’s policies kept double taxation from being an issue, he said. The tax code provided the credits and exclusions; and his company promised him it would pay any remaining taxes to keep his tax load the same as it was when he worked in the United States. Otherwise, he said, no one would have accepted the assignment. If you file your taxes with TurboTax and have questions about your unique tax situation, you can get free personalized advice from tax professionals, including CPAs, Enrolled Agents or Tax Attorneys—live by phone or chat. Learn more about Free Tax Advice from TurboTax. The value-added tax, or VAT, is similar to the American sales tax, although it often is much larger because an increment is added at each stage of production or distribution of the product or service. The tax can be as high as 25 percent of the pre-tax price, according to a story in USA Today. If you’re living in a country such as Great Britain or France, which have VATs, you pay it routinely, just as a foreign citizen living in the United States would pay a sales tax, said John Wilson, an adjunct professor of international taxation in the graduate tax program at the University of Denver. On the other hand, if you’re a tourist, or an expatriate about to leave the country, you can apply to have the VAT removed or refunded. Refunds are allowed only on “significant” purchases, Wilson said. Most countries set minimum values for refunds.